What do you have for kids on sunday morning? We pray for our children (toddlers – 4th grade) every Sunday during worship and then send them to Children’s Church. 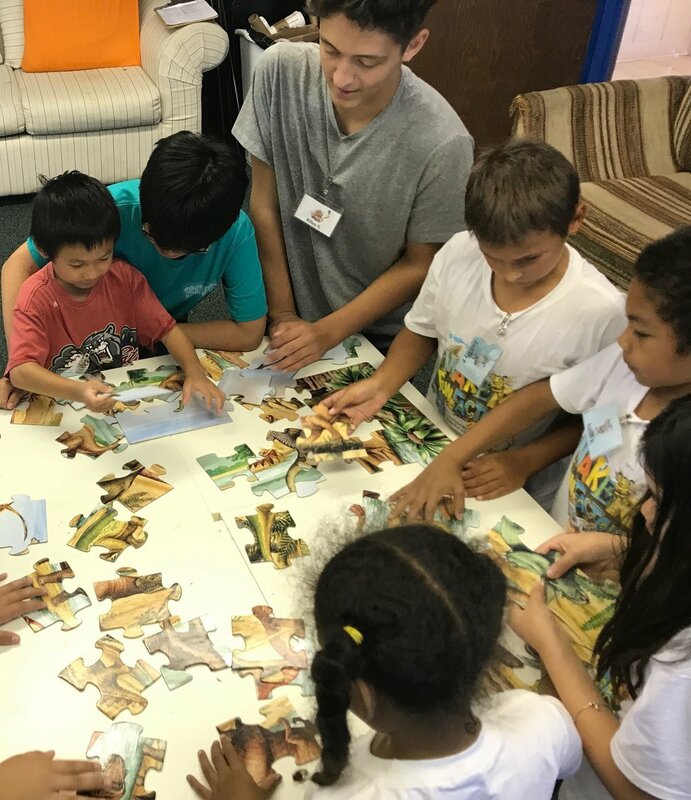 During Children’s Church, the children have a fun, meaningful time as they learn Bible stories and values in an interactive way in a safe, loving environment; led by two trained adult leaders. Parents can look in using their smart phones via a nest cam at any time. We don't have a formal nursery, but infants are totally welcome in our worship service. If you need to step out of the worship service with your baby or infant – feel free to go to the cry room located behind the Information Center in the lobby. Rocking chairs and worship video feed provided. A highlight of our year is Vacation Bible School. Over 60 children aged 5 – 12 gather for a fun week of interactive songs, games and Bible stories. Dates and sign up information from the church office.